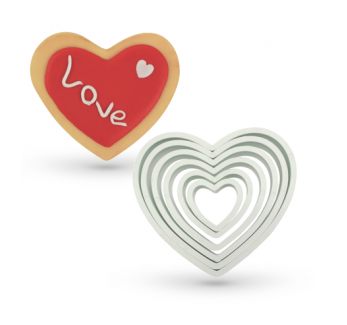 We’ve put together a selection of Valentine’s cutters in all different shapes and sizes so you can create your own homemade chocolate cookies, brownies and cake decorations. From Heart cutters, moulds to edible hearts and lips our selection for Valentine’s is perfect for creating a special ‘cake’ gift. PME Heart Plastic Cookie Cutters – set of 6 plastic cutters, 31mm, 45mm, 64mm, 81mm, 95mm and 108mm. This set includes all you need to create pretty heart decorations or fantastic heart cookies for wedding and celebration cakes. They are simple to use and include everything you will need to create cookies and to decorate special occasion cakes with beautiful sugar decorations. We also have a great range of Cupcake cases available from our Cake Decorating Shop. Our Cupcake cases are perfect for creating beautiful Valentine’s gift. Or why not treat your Valentine to one of our delicious Valentine Cupcakes. Our Valentines’ s cupcakes are created from our mouth watering chocolate sponge, topped with a strawberry butter cream and finished with a red sugar rose. Loving Everythibg To do With Cookies! We have a large range of lovely cake decorations, cake decorating and cupcake supplies available in our cake decorating shop, solihull. Our selection of new Christmas cake decorations are perfect for finishing off your Christmas cake design. Our selection of cake decorations include edible cake decorations, simply place on top of your Christmas cupcakes to create wonderful festive cupcakes. We also have a fantastic new range of Christmas toppers. From Santas, snowman, and sleighs to Christmas trees and Merry Christmas cake motos, we are sure you will find everything you need to complete your very own Christmas celebration cake. Another range of new products to Sugarbliss Cake decorating company, our our new festive cookie cutters. We have Christmas tree cutters, snowman cutters, holly cutters and of course the traditional gingerbread man cutter. A fabulous addition to our cutters is the gingerbread house cutter by kitchen craft. 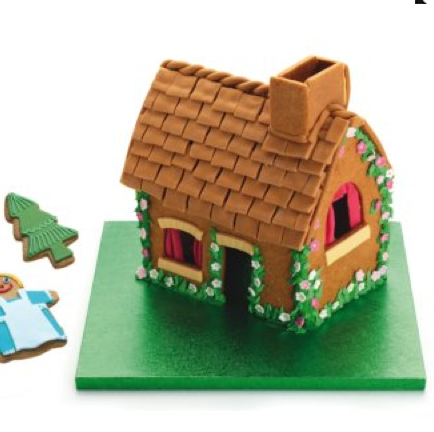 An easy to use cutter set which includes everything to create a gingerbread house. It also includes full instructions for you to create your ginger bread house and next week we will be giving you are very own ginger cookie recipe. Loving Everything To Do With Christmas Cake Decorations! 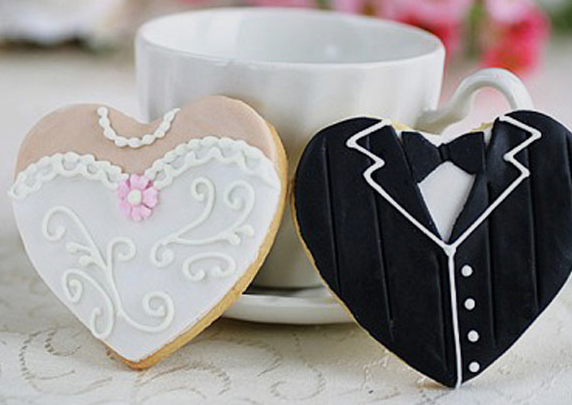 We all love cookies and we have a fabulously wonderful recipe for you to follow for any wedding or celebration party. We have all the necessary cake and cookie products you will need at our Sugarbliss Cake Decorating, Decorations And Cupcake supplies shop. In a microwavable bowl combine the milk and butter and microwave for a few seconds to melt the butter. Stir in the cocoa powder and mix well with a spatula then set to one side. Add the butter to a food processor and beat on a medium speed until light and creamy. Gradually add in the sugar and beat until fluffy. Add the egg yolks one at a time, beating well after each addition. Lastly, add the vanilla extract and the milk and mix until thoroughly combined. Reduce the speed of the food professor and add in the sifted ingredients. Once the sifted ingredients have been added, increase the speed and beat until the mixture forms a dough. Section away ¾ of the dough and set to one side. Leave ¼ of the dough still in the food processor and mix in the chocolate mixture from earlier – mix until thoroughly combined. Shape the vanilla and chocolate dough in to balls, then using a sharp knife cut each ball in to two equal halves. 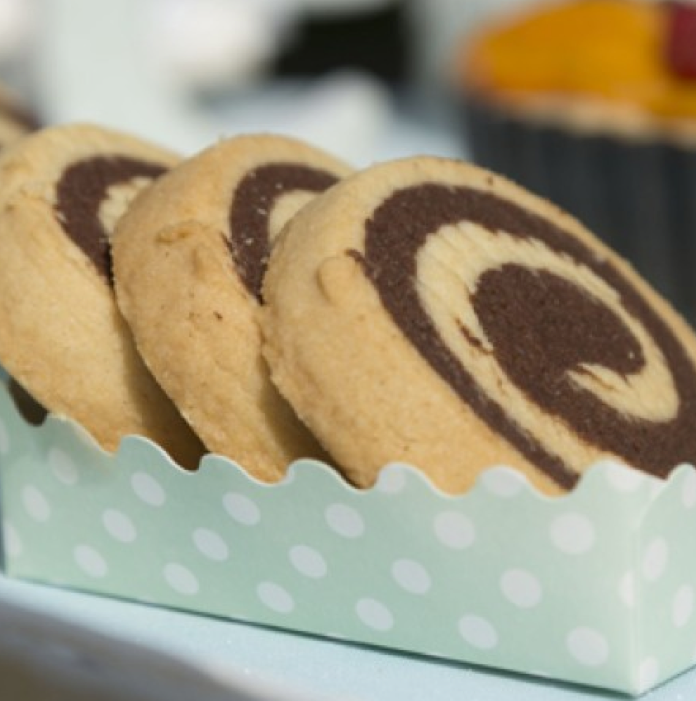 On a sheet of baking paper, roll out one half of the vanilla dough in to a rectangle shape and roll out one half of the chocolate dough to the same size. Place the chocolate dough on top of the vanilla dough and use the rolling pin to remove any air pockets and ensure that the dough’s are stuck together. Starting with the short end facing you, tightly roll the dough in to a log shape. Repeat the last two steps with the other half of the vanilla and chocolate dough. So you have two logs. Wrap each log in cling film and place in the fridge for 30 minutes. Using a sharp knife, slice the logs in to ¼ inch slices. Line a baking tray with baking paper and place the biscuits on the tray leaving ample space between each biscuit. Bake at 170C/Gas mark 5 for around 15-20 minutes. Once golden brown transfer to a wire cooling tray to cool completely.